As a Sunset editor, I make every attempt to be on top of my field. But in an area as personal as home design, it’s the homeowners that often surprise me with new ideas and sources. 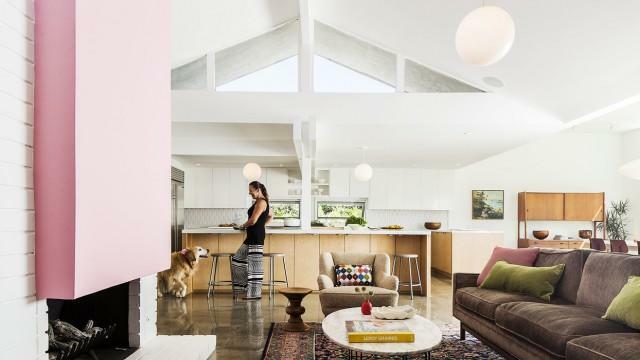 Case in point: When I talked to Randy Hild about the mid-century modern home he and his wife remodeled (that’s their living room above), I remarked on his awesome taste in furniture. He surprised me by saying he bought a large portion of it off Instagram. “It’s a great source. There’s a younger generation of dealers in their 20s and 30s who list there exclusively,” he says. 1. Danish Modern L.A.The digital outpost of the popular L.A. shop—and the best funky chair collection on the Internet by our measure.